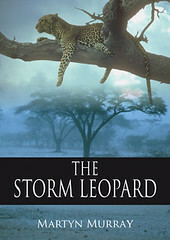 When I journeyed across Africa in the tracks of the elusive storm leopard, I thought it would be useful to bring along a camcorder. I chose a Sony miniDV (DCR-TRV20E) which at the time offered the best combination of compact size, lens quality and secure digital storage. It proved a fantastic friend which never let me down. I used it to film action, landscape and wildlife, to capture dialogue, to record my thoughts, to copy information from posters and signboards, and even as my travelling therapist. In the end I took about 24 hours of video on the journey. The recent combination of snow and short days here in Scotland prompted me to think about a new use for all this footage – a video diary to enhance the text of The Storm Leopard. 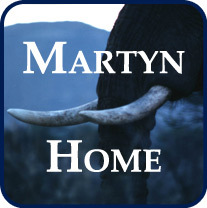 I’ve started with a short film about the capture of a lioness in Etosha as part of a conservation research programme. 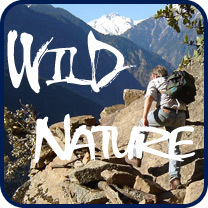 It can be accessed from my website Wild Nature With Martyn. I am quite conservative about books as I believe in the fundamental power of the written word – how it can inform and kindle our imaginations. Books also have a physical presence which reflects the care that has been invested by author and publisher. I guess we all have our favourite books which may depend on their content, layout, illustrations and cover, and perhaps also on who owned them previously or who gave them to us. Yet there is a new niche opening beyond the conventional book: one that combines powerful writing with potent imagery and sound. A good example can be found in the multimedia publications by Enhanced Editions. Travel writing lends itself naturally to this evolved form of novel. This entry was posted in The Storm Leopard. Bookmark the permalink.